Description: Small, thin, rainforest tree of Central America with corky bark. Reaches a height of 5-6m. Flowers appear mostly in clusters near the base of the tree with occasional solitary or paired flowers in the axils higher up. Flower resembles a small capped mushroom in the genus Marasmius and possibly pollinated by mushroom gnats. Rare in the wild due to deforestation, uncommon in cultivation. cutting to Duke from Museum of Life & Science, Durham, NC ex Missouri Botanic Garden via Tom Hecker (ML&S). 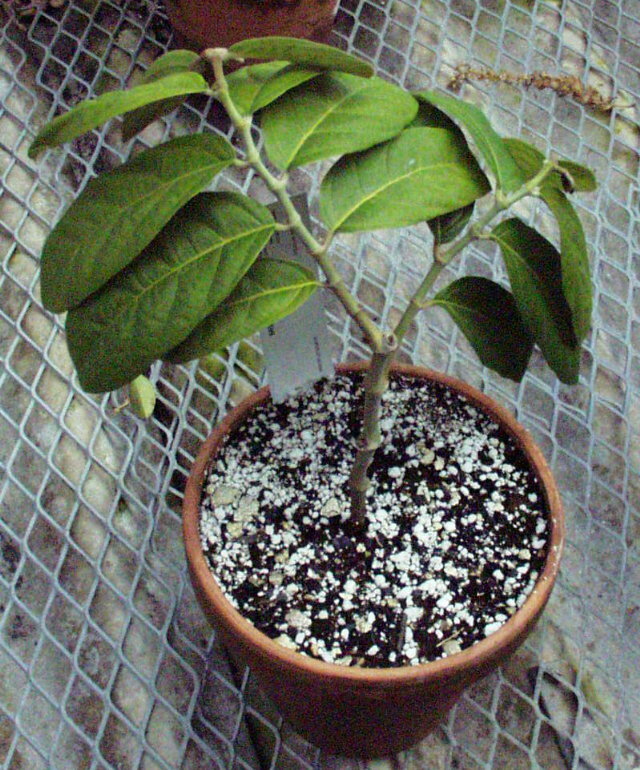 Missouri Botanic Garden specimen was a seedling from Bonn Botanic Garden, whose specimen came from Botanic Garden Bogor by Dieter Roth. Aristolochia arborea: The Biology and Thread of a Remarkable Rain Forest Tree from Central America by Christoph Neinhuis, Dieter Roth und Wilhelm Barthlott - last visited 4/4/02. Aristolochia arborea at Global Biodiversity Information Facility. Last accessed on Friday, September 08, 2017.